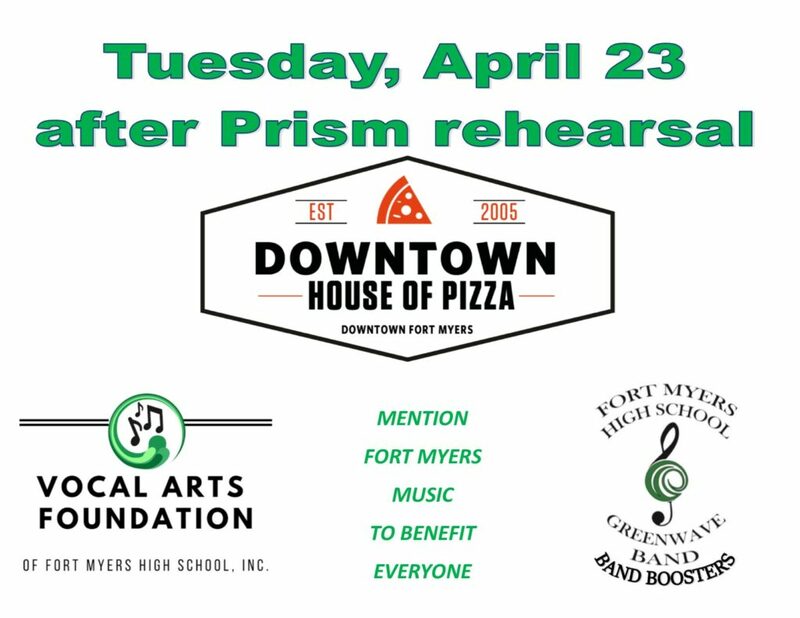 We will be hosting a silent auction at Prism on April 25-26. All donations are appreciated! 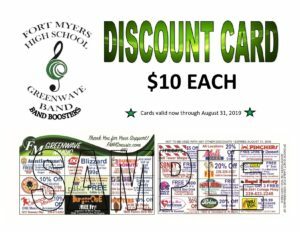 Fundraising is a vital part of the program at Fort Myers High School. Some examples of costs we cover include dance instructor, color guard instructor, drum line instructor, dry cleaning at an average of $1200 every couple weeks during season, instrument repairs averaging $6000-$8000 per school year and much more. 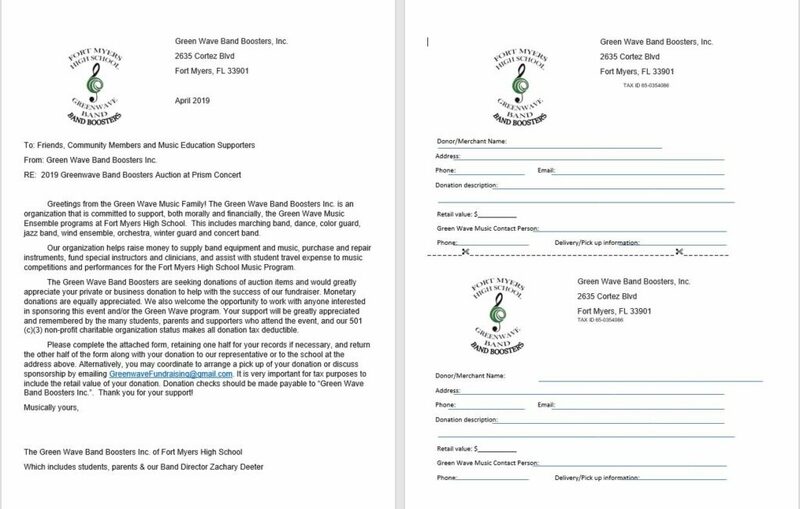 If you have a great fundraiser that you would like us to consider, please email GreenwaveFundraising@gmail.com and attach all pertinent information or mail to the school: Fort Myers High School, Greenwave Band Boosters, Inc., Attn: Fundraising Chair, 2635 Cortez Blvd., Fort Myers, FL 33901.